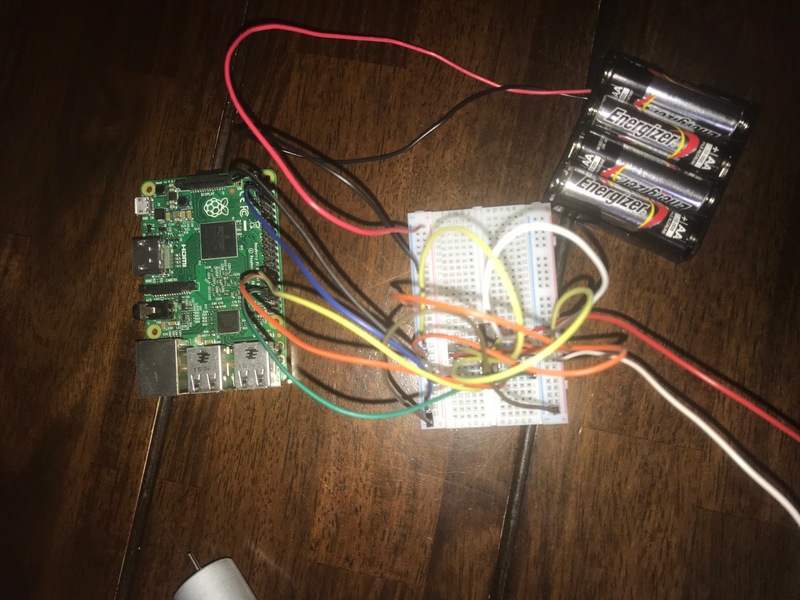 The script runs successfully, but the DC motor does not do anything. Can someone please tell me why this is not working correctly. Any help is greatly appreciated. Thanks. From the pictures, it looks like the chip is upside down. There's a little notch on one end that shows you where the "top" is, while you have it facing away from the top of the breadboard instead of towards it. Fortunately, based on the data sheet for the chip, this actually doesn't matter and it will function exactly the same. That's a surprise. As pointed out in the comments, however, the pinout you're referencing is from an older version of the Raspberry Pi that has fewer pins. The pinout is backwards compatible, but you have to count from the top/right end (further from the USB ports), not the closer end as you've done. Redo those connections and you should be ok. As far as I can tell, none of these errors will have damaged your Pi. However, in the future, I would recommend making all non-power connections to a Pi through a resistor to protect your GPIO pins from damage. In this one, for example, connect GND and 5V with wires as shown in the diagram, but replace all of the wires to GPIO with at least 100Ω (maybe even 1K or more, but less than 5K) resistors. Disconnect driver output - motor _ and substitute LED with limiting resistor. Make sure your DC output is off correct polarity to light the LED up. Does it light up? Can you turn it off? If not - disconnect driver input and replace it with LED with limiting resistor. 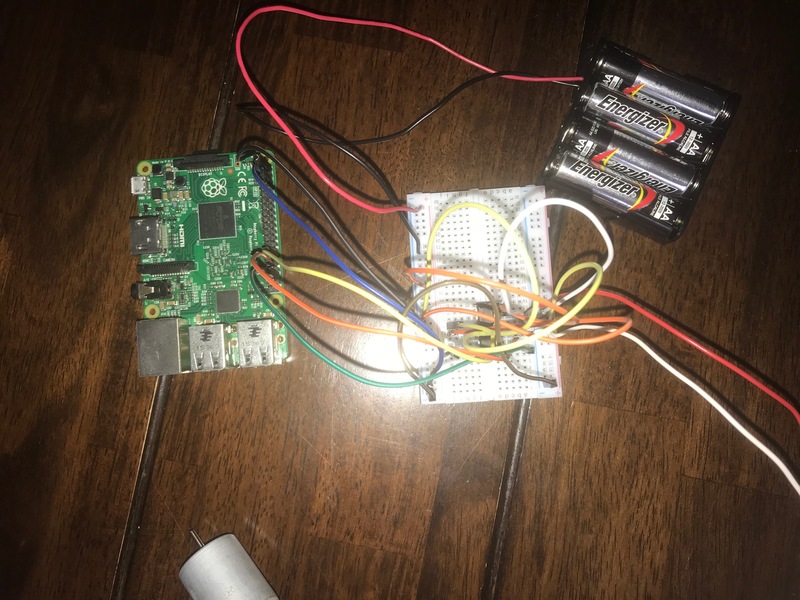 Make sure it is connected to RPi with correct polarity. Can you turn the LED on / off ? PS Computer generated pictures are of no value if it is not actually wired correctly. Not the answer you're looking for? 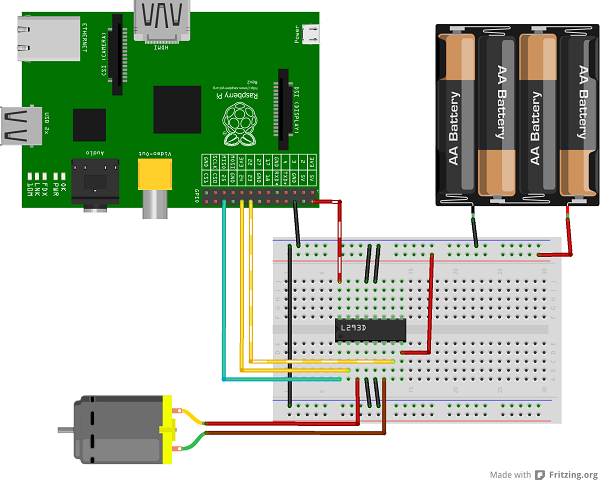 Browse other questions tagged python pi-2 python-3 battery dc-motor or ask your own question.